My Trip to Poland with Zen: Day 13 – September 7, 2015. Well today is my last full day in Poland and I’m already sad to go. Despite the foreignness of the language, architecture, and customs, I feel very at home here. Perhaps it is my knowledge of Poland’s history and my familiarity with some aspects of its culture like food that makes me feel at home so far away. I had plans for dinner later just outside of the city center but that wasn’t going to stop me from enjoying one last run through Krakow. There is still so much I hadn’t seen yet that I ran around and got a lot in on this last day. In the morning, I started off with a walk through the Jewish quarter of Kazimierz including the Old Jewish Cemetery. The wall of the cemetery is lined with fragments from the tombstones of Jews buried all over Krakow in cemeteries that were destroyed by the Germans. 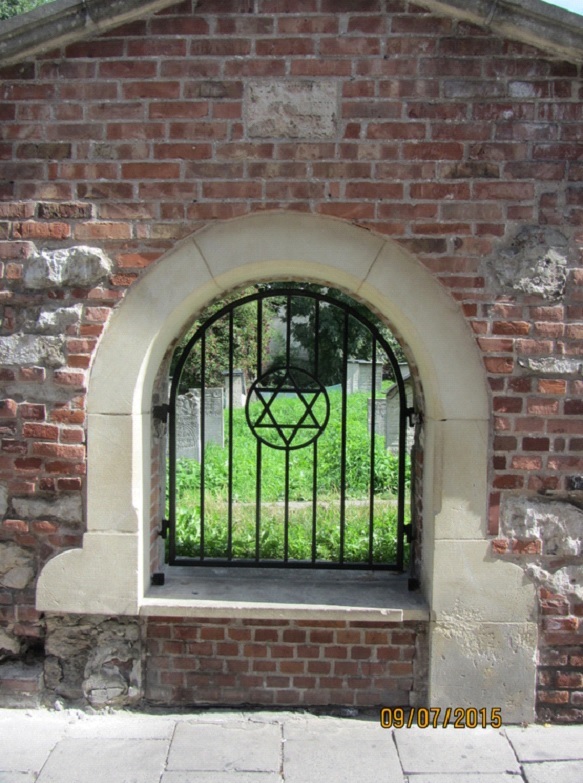 The Old Jewish Cemetery, Kazimierz, Krakow, Poland. My Trip to Poland with Zen: Day 12 – September 6, 2015. Traveling usually fills me with joy and wonderment. I love exploring places and experiencing new things. Today was a little different. There would be no joy in today’s travel and I knew that last night. Today, I went to Auschwitz. Today was the day when I truly wondered how the words “human” and “humanity” could possibly be related. The evil that took place here lingers and the criminality that took so much from so many continues to draw millions to this place, yet thankfully, their crimes only inflict grief and draw tears today. 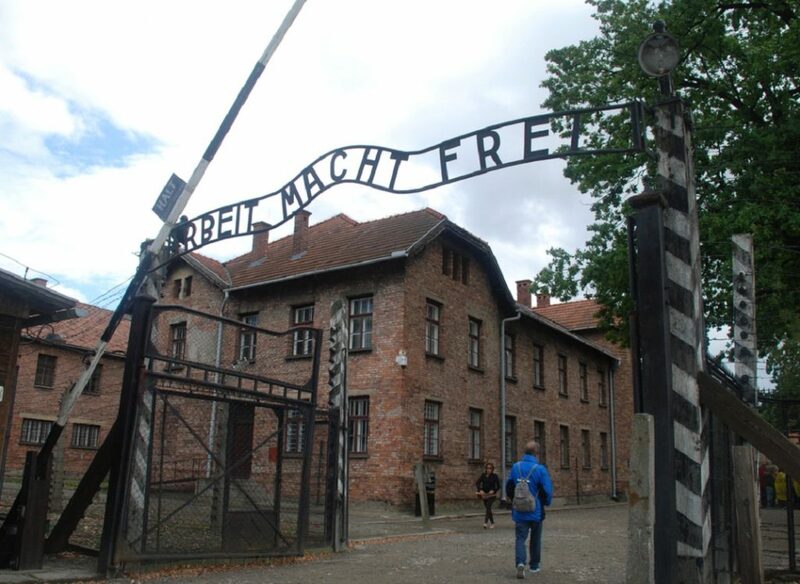 The famous gate at Auschwitz I that translates to “Work will set you free.” Our guide said that he has never found an example of a prisoner who was ever set free due to their dedication to work at this camp. My Trip to Poland with Zen: Day 11 – September 5, 2015. Today I spent a great deal of the morning searching for a great gift for my niece Olivia. I had in mind a necklace made of amber for which Poland is so famous. After shopping a bit in the Cloth Hall (see below), I went up to the Sukiennice Museum on the 2nd floor of the Cloth Hall which features great 18th Century Polish artists. A couple of my favorites are below although the images were difficult to take because flashes are not allowed. My Trip to Poland with Zen: Day 10 – September 4, 2015. Today was getaway day as we left Nowy Sacz for Krakow. Before we checked into our hotel, however, we stopped by a museum I found online dedicated to the Polish AK in WWII. AK stands for Armia Krajowa and it was the primary Polish armed resistance movement during World War II and the largest from any country in the entire war numbering approximately 400,000 members. 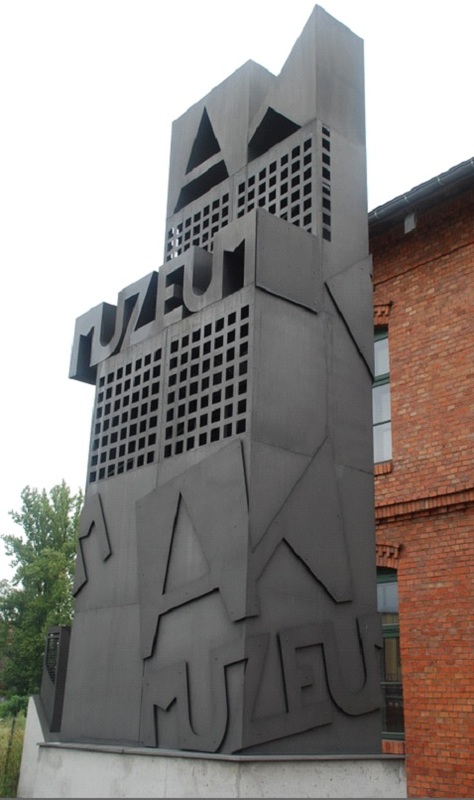 Exterior of the AK Museum in Krakow. My Trip to Poland with Zen: Day 9 – September 3, 2015. As my trip to Poland begins to wind down, the remaining days are devoted to sightseeing mostly. Today, we went to the famous pilgrimage site of the Jasna Gora monastery in Czestochowa, Poland. It was here in 1655 that a small contingent of friars, Polish nobles and volunteers fought off the numerically superior Swedish force of German mercenaries for a month inspiring the Poles to rise up and sweep the Swedes out of Poland. Legend has it that the inspiration for this valiant defense was a famous religious icon known as the Black Madonna of Czestochowa which has been housed in the Monastery since at least the 1300s. 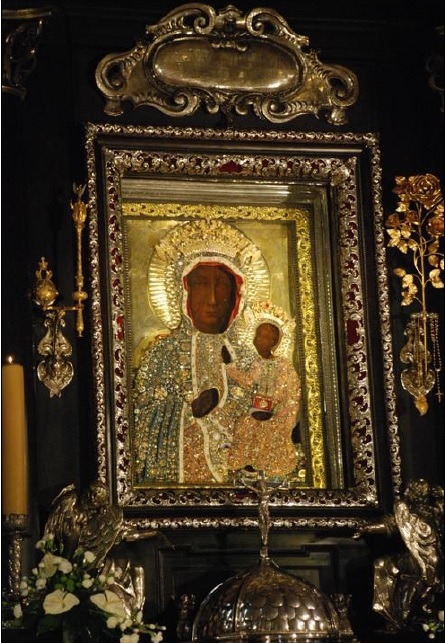 The Black Madonna with the protective screen. My Trip to Poland with Zen: Day 8 – September 2, 2015. Today was an extremely productive day in a number of ways and one of my best in Poland. I saw beauty, met relatives, and learned some very painful stories. Of all my days in Poland, today had a bit of every type of thing I hoped to see and learn – and all in a single day. If you only read one of my updates all the way through, this is day to read it all. The stories our cousin told me are heartbreaking. After another ridiculously large breakfast, we set off to Tarnow where the Catholic archdioceses is located for this region and therefore where we could research the repository for copies of all the records one would find in the local parish. The only down side is that it is very unlikely one can learn anything about current relatives as no one there is likely to know anything about your family. But there was a way around this problem. 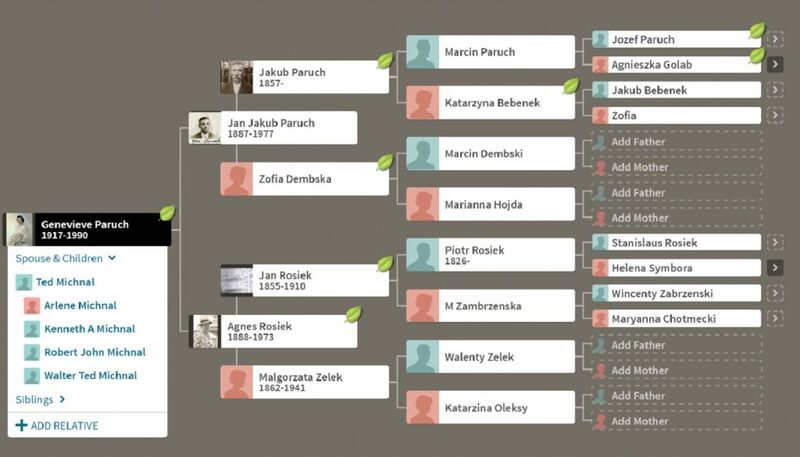 Without getting to deep into the records, I found a lot regarding both the Rosiek and Paruch lines and much of the bare details are shown below in my ancestry.com tree (to which anyone interested is invited to examine…just let me know). My family tree chart for Genevieve Paruch’s ancestors. My Trip to Poland with Zen: Day 7 – September 1, 2015. We’re staying in another sort of open air museum in Nowy Sacz but it appears that the houses and shops are only open during the day when we’re gone so the novelty of the place is sort of lost on me. The good part is that there is a restaurant in the compound and they make good zurek. It’s a little touristy and anytime a guest stops into the restaurant, they turn off the radio and put in a polish folk song CD. Zen is pretty amazing as he can just listen to the song for a few seconds and tell you what region it’s from. 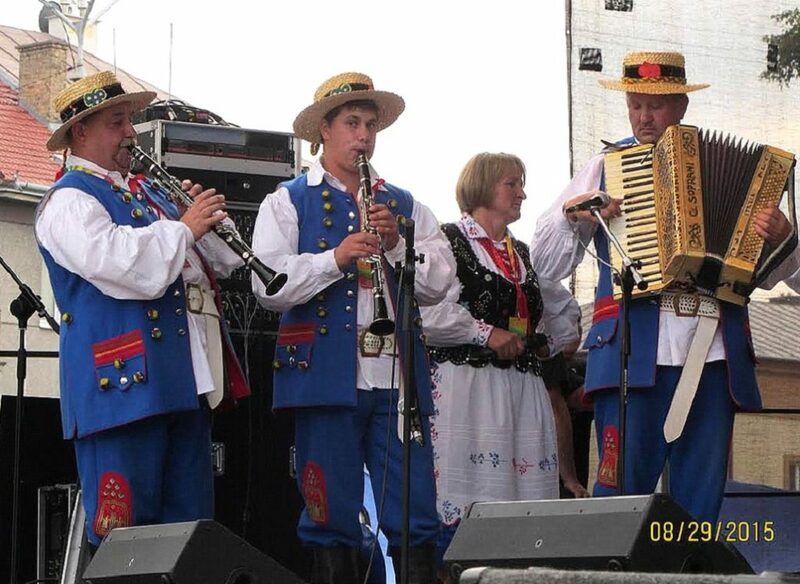 The Rzeszow region, for example, has a lot of violin and whistling. We begin our day with exploring the Zmiaca area from which the Rosiek family came. 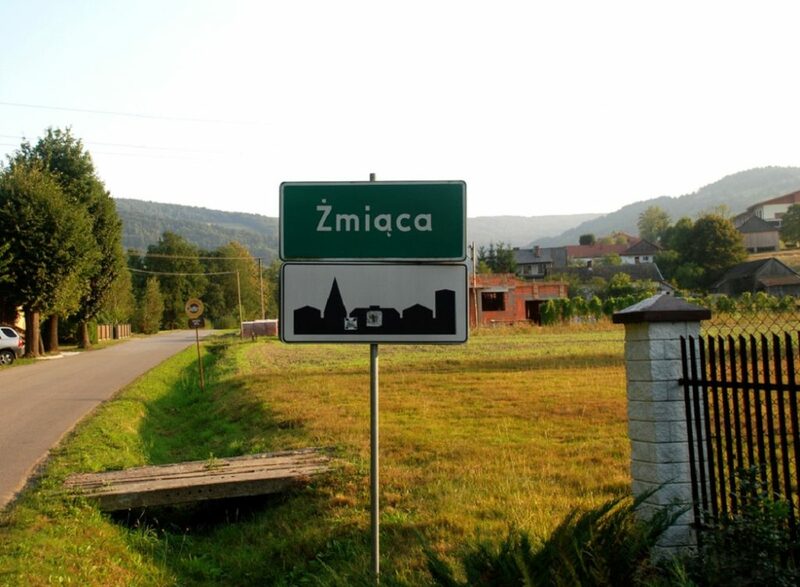 Zmiaca is pronounced very differently than how it appears it would be pronounced in English. The ‘Zm’ beginning is sort of buzzy swishy sound….try make the shhh sound (as in “shhh, be quiet”) and then hum at the same time…that’s sort of the sound. Or if you’ve ever heard the French pronounce the “G” in Georges. I’ll use the “ZH” to mimic this sound… so it would be pronounced zhmee ONT suh. The word Zmiaca gets translated to “wrinkle” in English which I can only assume comes from the wrinkled contour of the valleys and gorges in the land. Zmiaca, Poland where the Rosiek family is from. My Trip to Poland with Zen: Day 6 – August 31, 2015. Today started very slowly and painfully due to full and enthusiastic participation in vodka bottle passing tradition at the harvest festival. Thankfully, we had the good sense to have cousin Danuta’s daughter, Paulina, drive us to our hotel last night and she picked us back up in the morning so we could retrieve our car. 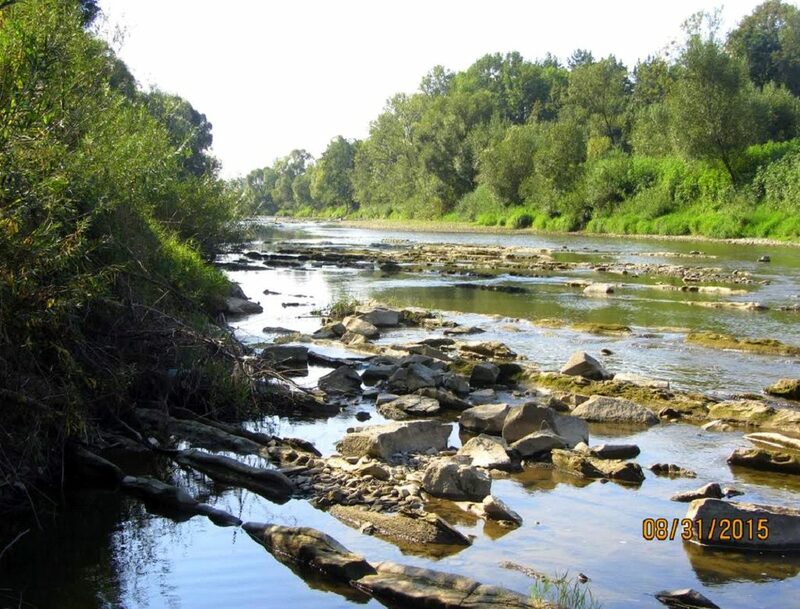 Before we left I explained to Danuta that I wanted to walk down to the river and grab some rocks for Dad’s rock polishing machine from the river bed – and I’m glad I did. The Wisloka River in Zarzecze. My Trip to Poland with Zen: Day 5 – August 30, 2015. 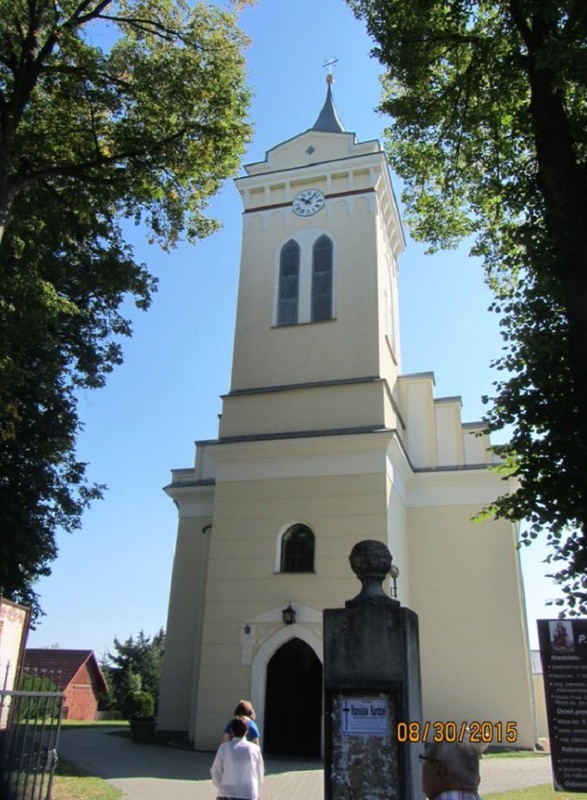 Today is Sunday so it was obviously a good day day to visit the church in Debowiec where Wojciech Michnal and generations before and after him were baptized, attended mass, etc. We went to the 9am mass which was well attended. In fact, it was so crowded that we had to stand in back while dozens of others stood outside the church where audio of the mass is amplified over speakers outside. The Church is called St. Bartholomew’s and it was built relatively recently (1838-1848). The outside is plainer than most in this region but the inside is beautiful. Exterior of St. Bartholomew in Debowiec (where Michnal family would have worshipped). My Trip to Poland with Zen: Day 4 – August 29, 2015.